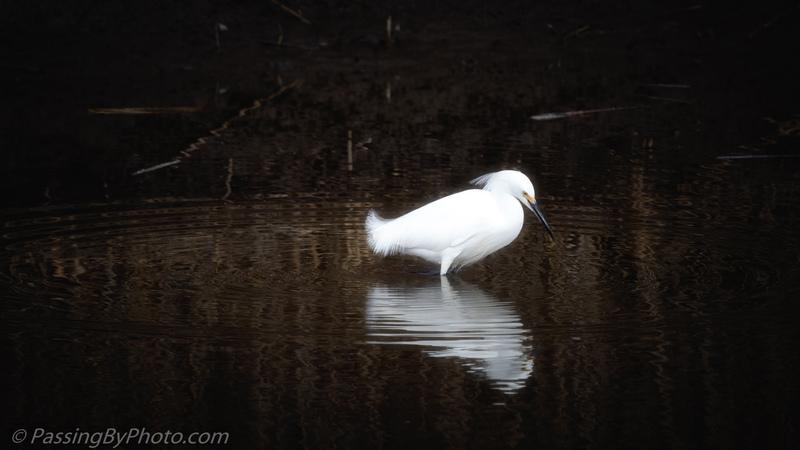 A Snowy Egret worked the bank of a small pond. I did not see him catch anything but he kept at it longer than I expected. Usually the Snowies are the least patient of the egrets, quick to move on when things don’t go their way. There is a simple elegance to this image that I find really appealing. Beautiful shot, Ellen. Thanks, Mike, I’m glad that you liked it.